To ensure a better game experience, we are performing an update from June 27th 2:00 to June 27th 5:00 EST. During this time you will not be able to log in. The duration time is an estimate and may be extended due to technical issues. We really appreciate your patience and understanding. 1. It's time to get your Ichimokuren and Hana! During the event, the chances of summoning Ichimokuren or Hana will be 2.5 times! Note: The summon rate will revert back to the normal rate after the player successfully summons 2 Hana, 2 Ichimokuren, or one of each. 2. New SR Aobozu is coming! "I will violate my sacred precepts to help the common people." Aobozu was a monk in the past, traveling alone to train himself, drifting from place to place without settling down. Aobozu frequently shares the teaching of Buddha to people he encountered during the journey, though very little truly understands him. After the update on June 27th, Aobozu can be summoned with Mystery Amulets, AR Amulets or Jade! 3. New BOSS Oboroguruma is ready to strike! Onmyoji, please cooperate and fight together to stop Oboroguruma! After the update on June 27th, a new Demon Encounter BOSS - Oboroguruma is coming to Onmyoji! 4. New events are released! - Exploration Monster Bonus Up! During the event, enemies in the Exploration Zone will have two bonuses at the same time, giving out more EXP, coins or loot per battle! During the event, recharge to earn more Mystery Amulets, Grade Daruma, Skill Daruma and Dark Seimei! 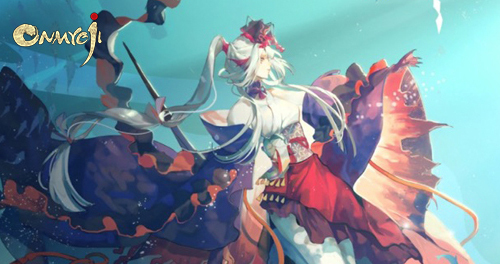 New skin of Higanbana: Pearly White will be available at the skin store after the update. This skin will be 20% off for the first week only! 2. Fixed the page error when open Notice on Steam.